Every month we send out to our followers our best deal of the month plus valuable information and a few funny stories. If you haven’t already done so you can sign up on the form to the right. Thank you. Storage & Tenant Lockers Made Simple! Call us for a rack inspection! Liquidation Rack – Used and New Racks! Casters & Wheels and Featured Product – Conveyors!! Steel Shelving Systems and ladders on SALE! Used wire deck Liquidation and discounted ladders! Storage bins and new website! GARAGE SALE! Products added weekly & More! 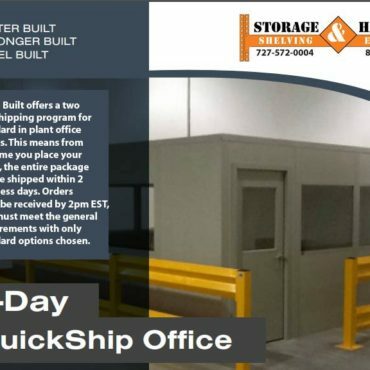 2 Day Quick-Ship Modular Office! Steel Shelving New, Used and More! Sale on used CANTILEVER Racks! 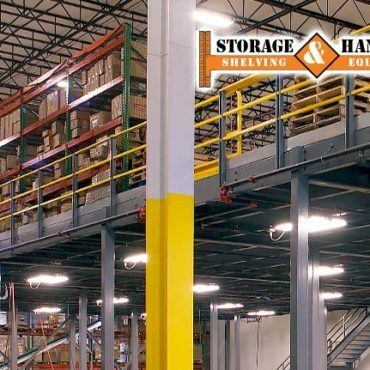 Checkout Mezzanine and Storage Platforms… and more! New Pallet Racks and the latest at Storage & Handling! Storage Bins and Conveyor Systems (only 2 systems left)! Act fast WireCrafters 4-Wall Security Cage, Staples Rack and More!